While Black Lives Matter is an ongoing movement, let’s think back to the time of To Pimp a Butterfly’s release in March 2015. Just three months prior, the decision not to indict the officer who killed Michael Brown ignited protests and riots across the country. In the same month, 12-year-old Tamir Rice was seen holding a toy gun and was shot and killed by police. Lamar’s record was released in the midst of this national chaos. Less than a month after its release, Freddie Gray was arrested and sustained fatal spine injuries while being insecurely transported in the back of a motorcar. Gray’s death again caused national unrest culminating into a state of emergency declared in Baltimore. 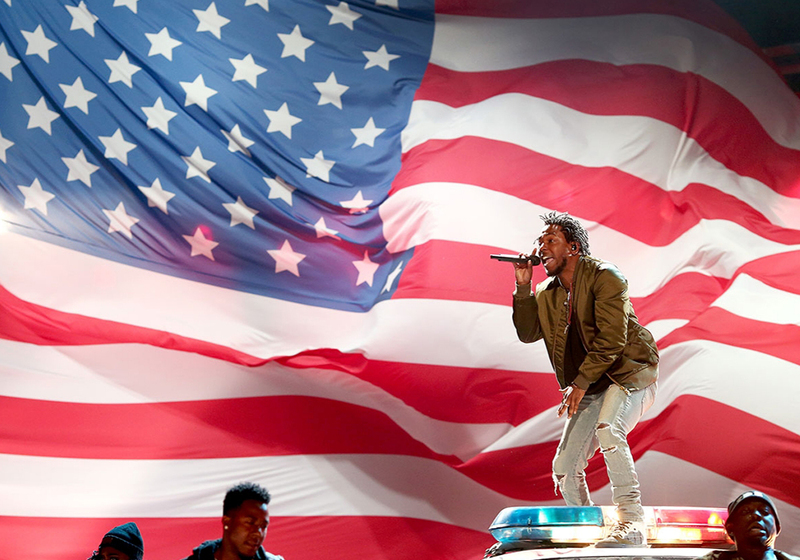 On June 28th of 2015, Kendrick opened the BET Awards with a memorable performance of “Alright.” The stage’s backdrop was donned with an enormous, tattered American flag and Kendrick rapped on top of a vandalized cop car. It was a seminal moment; a performance piece that expressed the frustration of his community. It evoked imagery of riot and protest, but through that imagery came a message of positivity and solidarity. Part of what makes To Pimp a Butterfly such an important album is songs like “Alright.” It encapsulates and expresses the feelings of time in history, and like many protest songs before it will serve as the soundtrack to a movement. When heard many years later, it will evoke emotions and situations forever embedded in our minds. My hope is that our future-selves will be living in a world where there’s no need for a Black Lives Matter movement and that Kendrick’s refrain “we gon’ be alright” has come true.